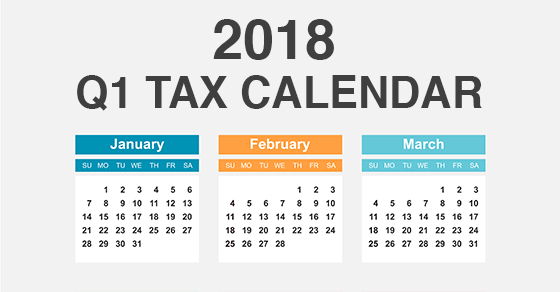 Here are some of the key tax-related deadlines affecting businesses and other employers during the first quarter of 2018. Keep in mind that this list isn’t all-inclusive, so there may be additional deadlines that apply to you. File Form 940, “Employer’s Annual Federal Unemployment (FUTA) Tax Return,” for 2017. If your undeposited tax is $500 or less, you can either pay it with your return or deposit it. If it’s more than $500, you must deposit it. However, if you deposited the tax for the year in full and on time, you have until February 12th to file the return. File Form 945, “Annual Return of Withheld Federal Income Tax,” for 2017 to report income tax withheld on all nonpayroll items, including backup withholding and withholding on accounts such as pensions, annuities and IRAs. If your tax liability is less than $2,500, you can pay it in full with a timely filed return. If you deposited the tax for the year in full and on time, you have until February 12th to file the return.